Gordon is a member of the Waterhen Lake Cree First Nation. He earned his bachelor’s degree from the Indian Teacher Education Program at the University of Saskatchewan and his master’s degree in Indian and Northern Education. Gordon has served Greater Saskatoon Catholic Schools as a teacher, vice-principal, coordinator of Indian and Métis Education and now as Superintendent of Learning Services. Gordon has extensive experience in First Nations and Métis education including serving on the First Nations and Métis Education Provincial Advisory Committee, the Canadian Teachers’ Federation’s Committee for Aboriginal Voice, on the Awasis Special Subject Council and numerous provincial committees dealing with education, governance and community development. In 2002, Gordon served on the Minister’s National Working Group on Education, a national Aboriginal group convened by the Federal Minister of Indian Affairs. During 2005-2006, Gordon was a member of the expert panel on student achievement and large-scale assessment in Saskatchewan. Gordon is actively involved in a local capacity. He was awarded the Saskatchewan Centennial Medal for Voluntary Leadership. He has served on the board of directors for the Child Hunger and Education Program, the City of Saskatoon Race Relations Committee, the Queen’s House of Retreats, St. Paul’s Hospital, the Canadian Education Association, the United Way of Saskatoon and the United Way of Canada. He currently sits on the Boards of the Royal University Hospital Foundation and the Saskatoon Board of Police Commissioners. Gordon is a Ph.D. candidate in the Department of Educational Administration at the University of Saskatchewan. 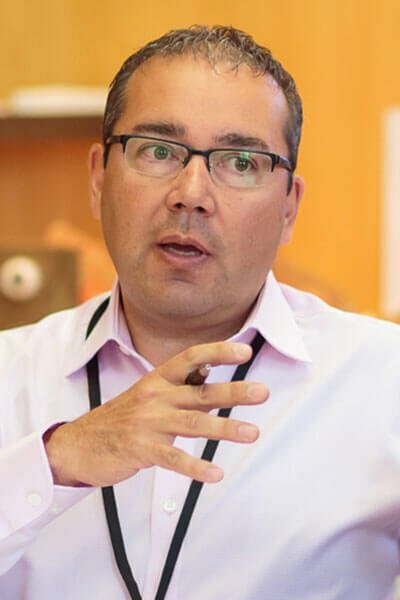 His research focus is on the experiences of Indigenous educators and their contributions to decolonizing education through indigenizing processes that shape public education.